Following our unexpected side trip to the Mount Hope Mines, Ivan and I were even more set on finding the Ford-Faesch House in Rockaway, the colonial-era home of the mine's developer, John Jacob Faesch. I'd already done a little research to discover that the house had other historical ties as well. It had been built by Colonel Jacob Ford, who also built the eponymously-named mansion in Morristown that General George Washington had made his headquarters for a time during the Revolutionary War. In fact, the two homes are somewhat similar in layout, but the Morristown estate is whitewashed while the Rockaway home retains its stone faced exterior. 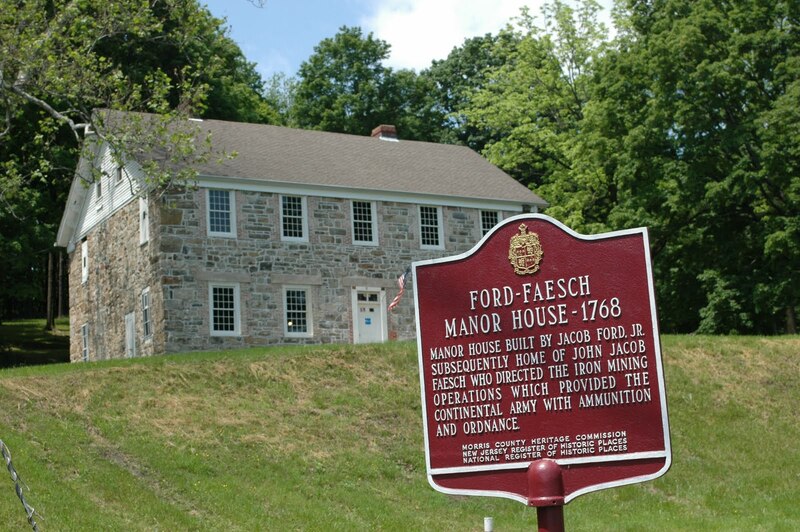 Given that we had some trouble finding the house, it wasn't surprising that Ford had left the house in 1770 for his new and probably much more convenient digs in Morristown. (If you doubt that, consider how close it is to present day Interstate 287.) The Swiss-born Faesch, already known as ironmaster for the Ringwood Mine, was the first of what would eventually be a succession of mine owners and superintendents. He was also a well-regarded patriot, having supplied the Continental Army with munitions. In 1931, the house became a two-family home, remaining inhabited until 1973, when it was put on the New Jersey Register of Historic Sites. All we knew to look for was an old stone house on Mount Hope Road, and as the pavement curved through suburbia and less populated areas, we began to wonder if somehow it might have disappeared. I'd found an outdated website about the house and hoped restoration was still in the cards, but in the absence of involvement of a major historical organization, you can never be too sure. Then, the road revealed a broad opening in the wooded boughs and revealed a broad grassy hill topped by a stone house flying an American flag from its front door. 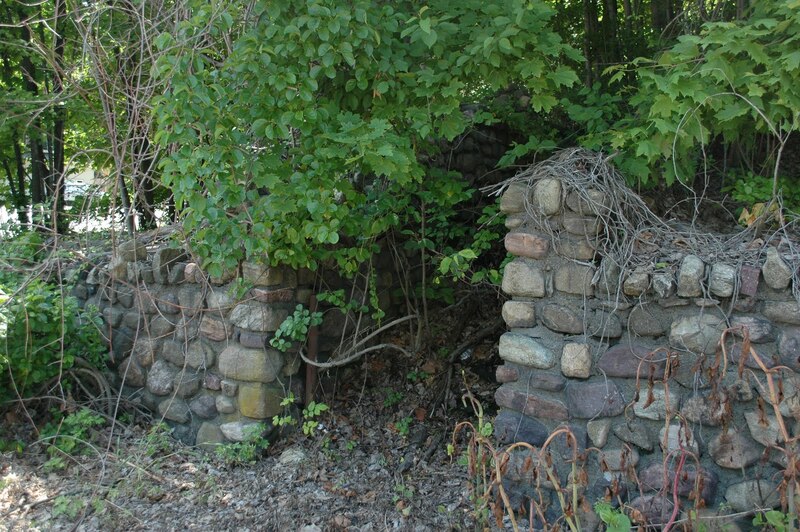 The wayside marker revealed it to be... the Ford-Faesch House. Nowadays, it overlooks the entrance to a large quarry facility and a broad body of water. We pulled up and around the back of the house, expecting to find a small parking lot or even an indication of where to enter, only to find nothing. I pulled out and parked down the hill, concerned we'd driven somewhere we shouldn't have. Returning to the house, we found that restoration appears to be ongoing: there are a few building permits posted on a back window, and a bare bulb lit inside the first floor. Other than that, though, there wasn't much evidence of human habitation. 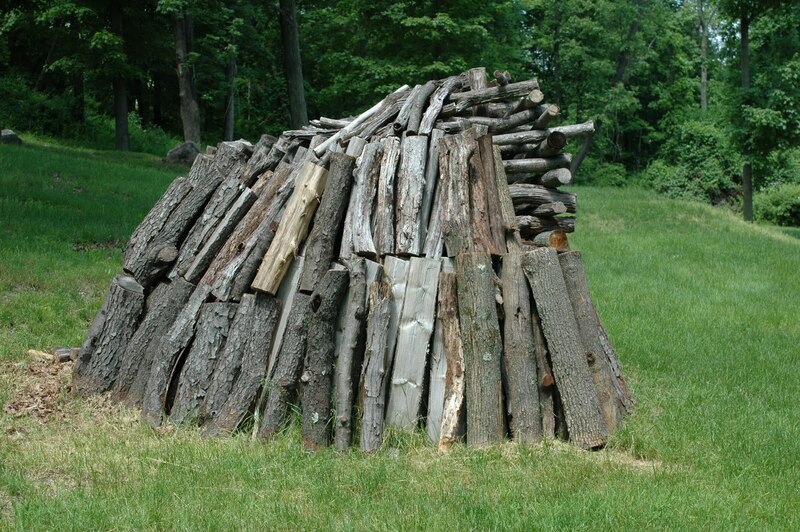 Wandering around the property, we found a large pile of logs configured much like the signal fires the Continental troops had constructed along the Watchungs to warn of enemy approach. It made me wonder if perhaps a historical society occasionally held programs there, but we couldn't find evidence of that, either. From my internet research, it appears that the Historical Society of the Rockaways is responsible for the restoration, upkeep and operation of the house. Recalling what I'd read in the past about the house, I though there might also be an old, shuttered church nearby, also awaiting restoration. We walked further up the side street and eventually found it, sectioned off in a field across the street from the house and marked with NO TRESPASSING signs. It seemed a bit odd that the church was situated so that its side, rather than its entrance, was facing the street it was visible from. In fact, the entrance was facing an overgrown tract about the size of the house's lot, surrounded by a very well-constructed stone wall that was occasionally broken up by stairways leading into the brush. A bit of research shows that this was the Mt. Hope Methodist Church, built in 1868. 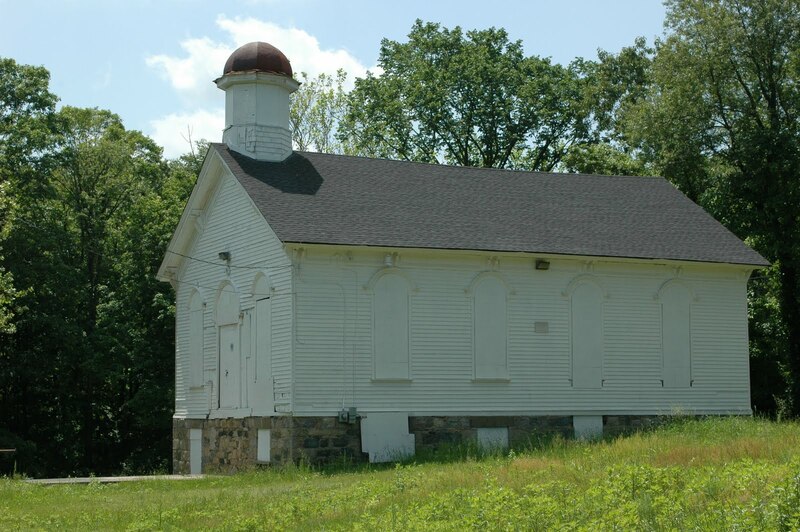 In addition to being a house of worship for both miners and the well-heeled, it also served as a school and, at times, as a hospital. Ultimately, the congregation dwindled to a few families and the building was left to deteriorate and suffer the indignity of vandalism. From what I can find online, it appears that the church was open for visitation as recently as three years ago, but it honestly doesn't look all that inviting now. As for the tract in front of the church, our best guess is that it might have been the church's cemetery. We walked as far as we could (legally) around the property and couldn't get a clear view in to see any stones or monuments. One wonders who might be resting there. My family was one of the last families that attended the Mt. Hope Church (Ralph A. Chudley, Sr. family). We dwindled to just a few until we could no longer afford to keep the church open. It was very sad for all of us as we became members of the church, attended Sunday school, bible school, picnics, Dime-a-Dips, had Christmas plays, etc., etc. We missed it dearly and he people who went there. Most of them are all gone now. I wish I could go in that old church again. How said that it is what it has become. My dad Ralph passed away in December, he was raised in Mt. Hope. He loved it there and he visited that old church often, even up to a few months before he died. Ruby, thanks for sharing your memories of the church. I believe that the Mount Hope Historical Society opens the church on occasion, so you might want to reach out to them to arrange a visit. I'm sure they'd love to hear from you! Thanks for this photo. My Rundle family also attended this church. My great grandfather and his siblings where baptized there in the 1870s. 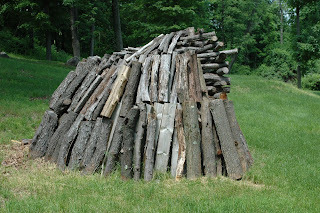 They moved to Connecticut when the mines closed.